The Sun transits your 1st House of appearance, personality and popularity. Circumstances tend to benefit you, and your personality stands out this month as others find your company entertaining, attractive and mysterious, Virgo. Expect a fast paced and busy month. Your ruling planet occupies three signs this month. As September begins, your ruling planet, Mercury, begins the month in Virgo. With Mercury in Virgo, your natural communication skills will be greatly enhanced. You will be seen as an eloquent speaker and you can motivate others with one word or glance. On 9/9, Mercury enters Libra and your 2nd House. Money will be a prime area and topic of concern. Mercury will remain in your 2nd House until 9/29, when it enters Scorpio and your 3rd House of trips, visits and relatives. Expect events in these areas to consume your time, thoughts and conversations throughout the month. Mars (physical energy/motivation and drive) will be in Leo and occupy your 12th House of privacy and seclusion. There could be some tense moments during this time as arguments and controversy behind the scenes could threaten your sense of peace and harmony. Avoid crowds as accidents are possible throughout this transit. Secrets, confidential information and private agreements will be involved. You could feel obligated to someone confined to home or a hospital or otherwise confined in some way. Fulfill your promises to one who needs your assistance and take nothing for granted where your personal life is involved. Expect to feel tired and low on energy during this transit. You might be unmotivated and find it hard to manage your daily routines. Pace yourself throughout this transit, Virgo. You could find past experiences seeming to repeat themselves. The good news? During this transit you will easily be able to investigate and obtain answers regarding issues that have been kept hidden from you. Venus (love, romance and finances) begins the month in Libra. During this transit, you can find communication, siblings and short trips to dominate and favor you until 9/11. Venus will enter Scorpio on 9/11 through 10/7. Scorpio is your 3rd House. Venus will be in Scorpio until 10/7. With Venus in Scorpio, the atmosphere gets serious and intense. A romance can suddenly begin with someone you meet through a sibling or while you're out and about in your community. While singles can meet a new love, couples will decide to make plans to travel or spend more quality time together. A New Moon forms in Virgo on 9/5. The New Moon in Virgo is your time of year to make plans for your future. Jupiter forms a beneficial angle to this Moon, suggesting expansion in personal and professional affairs. Every year each Astrological sign has a New Moon and this day is considered your solar “New Year” in Astrology. Make resolutions on this day for your year ahead. Unexpected surprises present themselves. Reach out to new friends and faces on 9/7. You won't be disappointed! A Full Moon forms in Pisces on 9/19. This Full Moon impacts your 7th House of marriage, Virgo. A romance needs some attention on this date, so make plans with the one you love, and remember to compromise for ideal results. This Full Moon promises to up the ante in a personal and professional relationship. Virgos who have been feeling uncertain where they stand with a partner will get clarity and commitment from a partner on this Full Moon. Expect to be pleasantly surprised on this date, whether you are single or coupled. On 9/20, Pluto turns direct in your 5th House of pleasure, fun and romance. The 5th House also rules children, risk taking and hobbies you enjoy. These areas promise to pick up speed and resume a pace you feel more comfortable with. A Gemini, another Virgo and a Sagittarius figure into your month. A Gemini might appear overly critical but entertaining nonetheless. 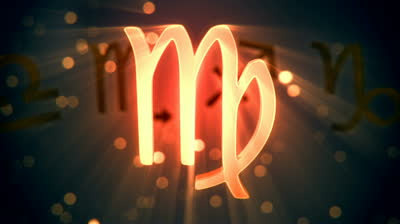 Another Virgo will be involved in conversations regarding love and professional matters. A Sagittarius wants to discuss home affairs with you and wants to reveal information that could change your opinion on personal matters. A Sagittarius wants to take an ongoing relationship to the next level but might be apprehensive about expressing this.